Remember Sellaband? Ten years ago Pim Betist launched this crowdfunding platform in The Netherlands, the first of its kind with a reward based model – the same model Kickstarter currently uses. Nowadays he helps startups by transforming their ideas into successful businesses. 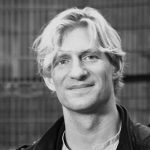 To celebrate his ten years anniversary as an entrepreneur, Pim shares his five most important lessons with StartupJuncture. 1. Conquer the world. One step at a time. Is it your wish to conquer the world with your new business? Then make sure you make your go-to-market plan as affordable and feasible possible. Narrow your geographical scope and limit your target audience. Be very selective in the features you offer. Keep your team small and hit the market as soon as you can. Your product will need adjusting multiple times, so the cheaper you keep these adjustments, the lower your chance of burning all of your resources before you hit the sweet spot. One of my mentors advised me to reserve at least one afternoon of ‘window staring’ each week. Hard work, he explained, is only beneficial for tasks with predictable outcomes. When startup teams don’t get the results they are aiming for, they make the wrong assumption that they need to work harder to succeed. The opposite is true. Make small adjustments and keep trying with variations of your product until you’ve created something that customers actually want. This requires belief, willpower and creativity. The more you try to control the outcome, the less effective you will be. So remember to take a step back every now and then and be playful about it. Creativity will not be forced. No you can’t, unless you’re surrounded by the right people. Your company is not about you. It’s about your ability to create something that others believe in and eventually make happen. The entrepreneurs I see succeeding are the ones that form the right team from the get go. They know their own strengths and find team members with compatible competences. Another common denominator amongst successful teams is that they enjoy working together. This is extremely important, because when setbacks come, their group energy remains positive, which is the only way to overcome them. I see a lot of entrepreneurs talking to angel investors before they are ‘investor ready’. It decreases their chance of getting funded and when they do get funded the valuation is lower than it should be. I run a company called Ripplestarters now. We help startups with their concept development, validation, funding and growth-strategy. We always make sure our customers own a strong brand name, -URL and -identity before we support them in getting funded. It also helps to have a good idea of what problem you are solving for whom. Don’t go with your gut feeling, but prove your assumptions with market research or qualitative tests. Last but not least make sure you have your startup team available and ready to start, before you start any conversations with angel investors. The second investment round is perhaps even more difficult than the first. The timing of it is crucial. As a founder you need to plan and prepare for it carefully. Being too late means losing momentum. Being too early, means you are scaling your company before it’s ready to sky rocket. This happened to SellaBand, my first company. A VC invested 3.5 million euro’s before we knew exactly how we were going to make money. The VC didn’t care about perfecting the business model, but wanted to see their money put to work. The costs increased significantly and thereby the ability to pivot and improve our value-proposition. I left the company after attempting numerous times to convince the board to change direction. A year later they filed for bankruptcy. Most VCs and entrepreneurs want to realize the fastest growth possible. This urge to go fast is rooted in a fear for competition. If you ask me, this is the number one reason for failure. Where there are waves there will be surfers. If you are good enough, you will get to ride them. Entrepreneurs are all looking for the big wave they can ride on their own, but they forget that competitors help the market grow and keep them focused on doing the best job they can in serving their customers. Startups don’t fail because of competition. They fail because of a lack of happy customers. Pim Betist is a serial entrepreneur, speaker and crowdfunding specialist. With his current company, Ripplestarters, he transform ideas into successful companies. Contact him at hello@ripplestarters.com.